As part of our home renovations I had Shane scrape off the popcorn ceilings throughout my house and re-texture them as knockdown ceilings and although we ran into some issues with the texture not adhering properly in a few spots Shane came back to fix them no questions asked, re-doing entire rooms to ensure there were no further issues. The knockdown ceilings all turned out wonderfully in the end and I would highly recommend Baki Texturing to anyone looking to get their ceiling textured. Shane is very friendly, communicates well, goes out of his way to get the job done and clean up afterwards and overall is a great guy to deal with. Thanks again for all of your hard work and attention to detail Shane, I appreciate it! Thank you Chris for taking your time to post this wonderful review.It's always been a pleasure working with you on your projects. Looking forward to working with you again in the near future. I had a difficult job for Shane and we both knew it. It was a patch on a older textured ceiling. 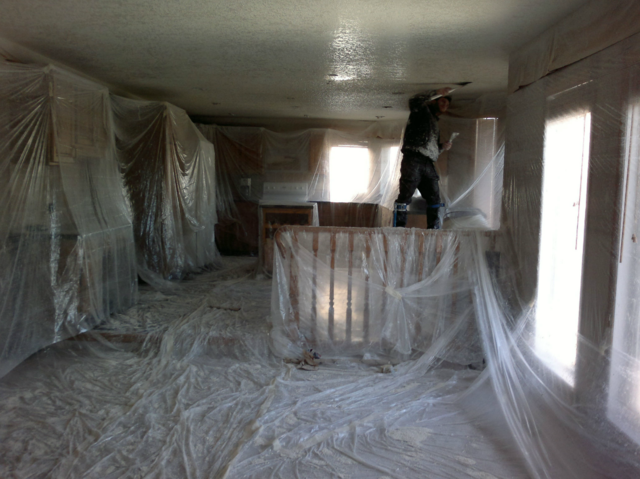 It involved drywall taping, mudding, spraying texture, and paint matching. 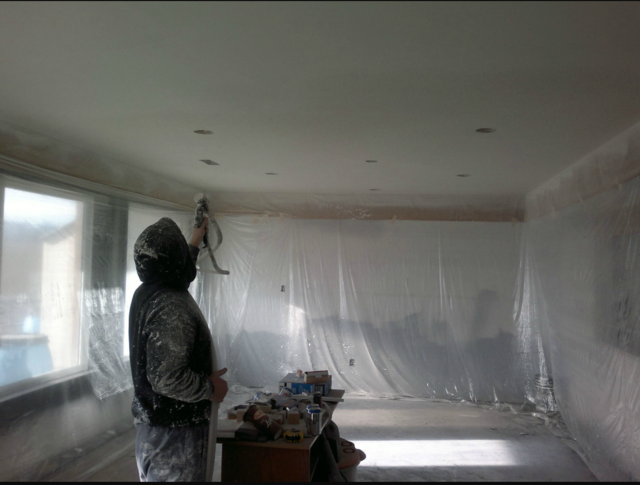 To Shane's credit, during the quote he did mention that it wasn't going to be easy, would require at least two coats of paint to match, and that he could only do his best to match the texture and colour of the old ceiling. The first two coats went and I could still clearly see where the patch was located. He and I jointly decided that we would try a third coat. That did the trick. You can hardly tell now where the repair is located. I am very happy with his work and especially that he wasn't satisfied until I was happy. Thanks Shane for taking a difficult project and completing it to a high standard. Thank you so much for your feedback. It was truly a pleasure working with you on this project, looking forward to working with you again on future projects. It is one of my favorite experiences in building. Shane is very professional and provide good custom service on time in a very reasonable price. Thank you very much Shane ! Shane provided great service. 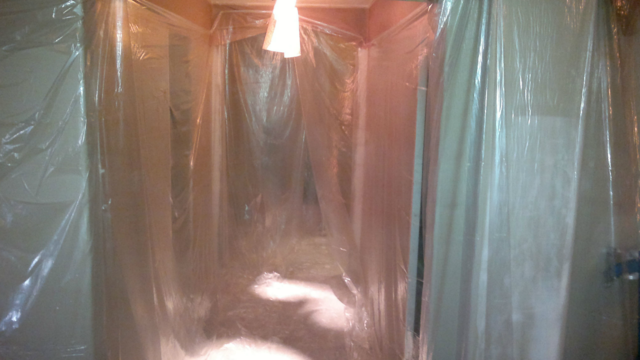 Quoted exactly what was needed, and number of days to complete the job. Executed beautifully, on time, on budget, and results were fantastic. 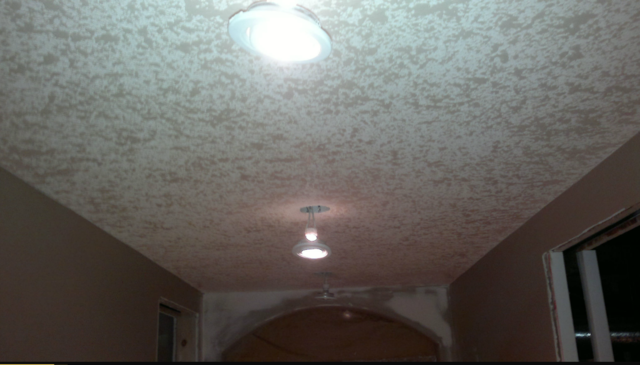 I would definitely work with Shane again, and would recommend him for any ceiling texturing needs. Thank you for your great review! I look forward to working with you again in the future. Had a small ceiling job to do in renovated bathroom. Shane gave me a fair quote and came out and did the job the next day. Showed up on time, did the job, and cleaned up afterwards. Would not hesitate to have this company do further work should it be needed. Shane was very prompt to show up and quote the job. He was very clear with what was required to repair the job properly without doing more than necessary. Him and his crew were very professional, polite and easy to deal with. They did an excellent job and completed it on schedule as promised. Best rates in town as well. I shopped around with all the main shops in town. Shane's price was better than all of them. Thank you so much for taking the time to post a review! We greatly appreciate your business and look forward to working with you again on future projects. Shane Baki takes the time required to do excellent workmanship. He is a true professional and was pleasant to deal with. His team was efficient and our ceilings look just beautiful. Thank you for the opportunity to show you our quality of work! We appreciate your business and look forward to working with you again in the future! All the best! prompt, reasonably priced, excellent clean up, finished work on time. 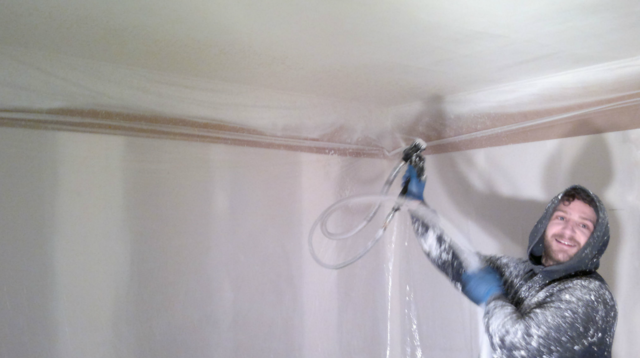 I will absolutely use Shane at Baki Ceiling Texuring in the future for any other work we do. Truly our pleasure! I greatly appreciate your feedback and look forward to working with you again. Shane was very professional and did a great job of texturing a new bulkhead and repairing some existing texture in my basement. The match to the existing texture was very close and looks great! Price was fair and Shane was up front about potential challenges matching new to old texture. 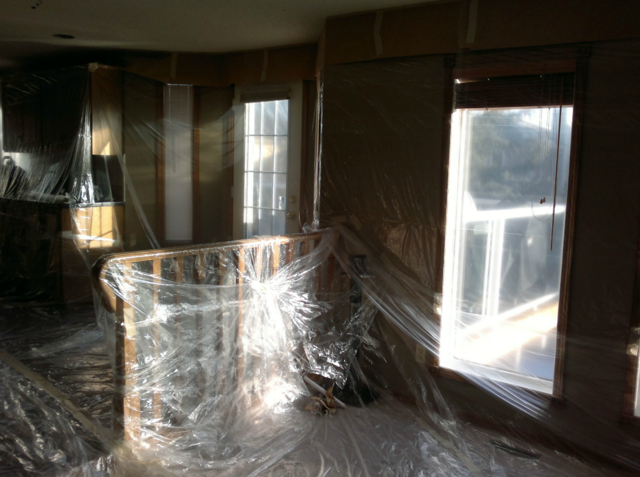 Shane also was very careful about tarping off the whole work area and left without a trace. Hi Simon, thank you for your review, we appreciate the feedback. We look forward to helping you again in the future.